Sally Wise is the bestselling author of several books, including A Year in a Bottle and Slow Cooker. 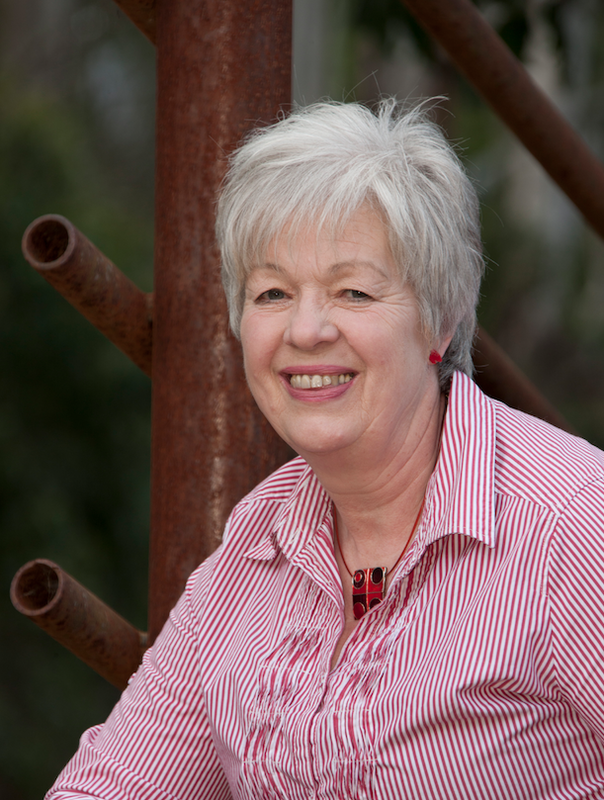 Sally has recently teamed up with friend and colleague Paul McIntyre – an award-winning playwright and a senior producer for ABC Local Radio in Tasmania – to write The Little Book of Slow, which offers practical suggestions, recipes and more for making delicious food from scratch and cultivating meaningful activities and pastimes. The book is one of the TWC’s Recommended Reads for February, and if you check out that page you’ll see that we have a competition to win a copy. Sally also took some time out of her busy schedule to answer some questions which our fantastic intern Arianne came up with. Thanks Sally! Were there any elements in your life that drew you to writing this book? Probably nostalgia – thinking on the past and the more relaxed pace, when there seemed to be more time to enjoy simple things in life. Did your family and friends provide inspiration for your book? Definitely my children and grandchildren. In the times of simpler, non-technological days when our children were growing up, we used to cook together, go fruit picking, cook over a campfire, cook afternoon tea for friends and relatives. It’s amazing how much creativity is associated with cooking – the children always had new and exciting ideas and were keen to try new applications of family favourite recipes. The tradition continues with my grandchildren today. What did you imagine your career to be when you were a teenager? I had planned to be a teacher. However, I had always had a love of cooking that seemed to come from nowhere. (my mother is not especially fond of cooking). Maybe it came from my grandmother, who was a pastry cook before she was married, working in her parents’ bakery. Her cakes and sweet treats, pastries too, were amazing – I can still remember their flavour and presentation to this day. Plus of course, the spirit of hospitality that went along with her baking. Tell us about the journey from idea to publication. Paul McIntyre has been the producer for the Jams and Preserves talkback that I do with Chris Wisbey about once every six weeks on ABC radio. After almost every session Paul and I would chat about this and that. We soon realised that we shared a common philosophy – of loving the simple things in life, and lamenting the gradual erosion of really enjoyable old fashioned pastimes, which for me focused around cooking, for Paul – activities such as playing board games, collecting vinyl and so on. A seed was sown of producing a book together, and this grew until it finally came to fruition. What is your daily writing routine and how do you make it work whilst juggling the everyday stresses life throws at us? I don’t have a special writing time set aside per se. There’s a lot to do here with the little farm. Then there is exceptional produce that comes my way at least a couple of times a week, either from our own garden or generous friends and neighbours. Of course, all of this needs to be captured in a bottle, by one preserving method or another. Then there is the cooking school here – we run at least one class a week. However, all of these in their turn provide inspiration, and so I jot down notes on pieces of paper, leaving them here and there all over the house. At some stage I retrieve them and they are used to fuel my writing as soon as the opportunity presents itself. Do you find a lot of inspiration from your environment? Definitely. The property here is beautiful, seems to stay quite green even in the heat of summer. The soil is fertile and so most things grow well. The surrounding hills are magnificent with rocky outcrops and the various colours of the foliage of the trees, which change as the seasons progress. The Derwent Valley is renowned for its abundance of produce, and this of course is incredibly inspiring. The generosity of the people in sharing this produce is also legendary. What was it like collaborating with Paul McIntyre on this book? Paul is a wonderful young man, who enjoys a mindful and meaningful life. He exudes a peaceableness and equanimity that made working with him a pure pleasure. His creativity, his way with words, are astounding and inspiring. What are your top five tips for staying mindful in this busy and often stressful world? Take a breath – both literally and figuratively, think about the pace you are living at. 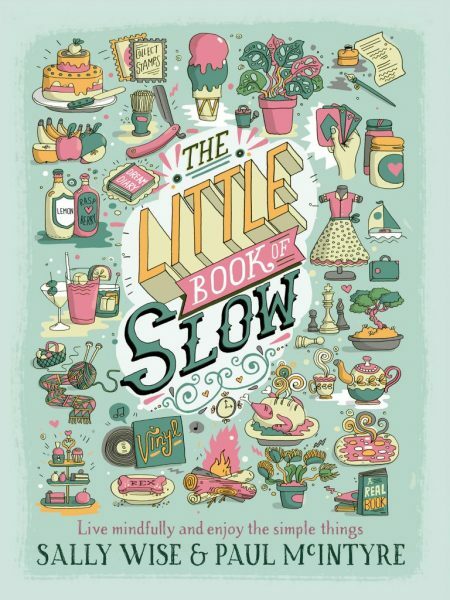 Do you really enjoy the fast pace or could you do with a little slowing down occasionally? Think about pastimes that you would really find pleasurable, if only you had or made the time. Perhaps cooking, perhaps something as simple as a walk on the beach. Make the time – as long as you can, but even setting aside 30 minutes can be refreshing. If others are too busy, take up a hobby that you can enjoy solo – like growing indoor plants, or writing an actual letter or card to someone to whom it would mean a great deal. Can you share some of your favourite foods that help get your creative spirit going? Always, above all else – fresh, seasonal produce, harvested in its prime. Flour – really good flour with which to make bread. Butter and good olive oil. Eggs, chook and duck from our very pampered poultry. All of these, for me, are the building blocks for creativity.